Over the last few months I have been experimenting with acrylic on canvas and these mini paintings are examples of my work. The tree image is accented with metallic gold and the little bird with silver. 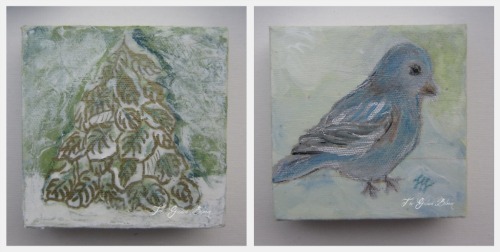 These are only 4"x4" and can be hung or displayed on a flat surface.